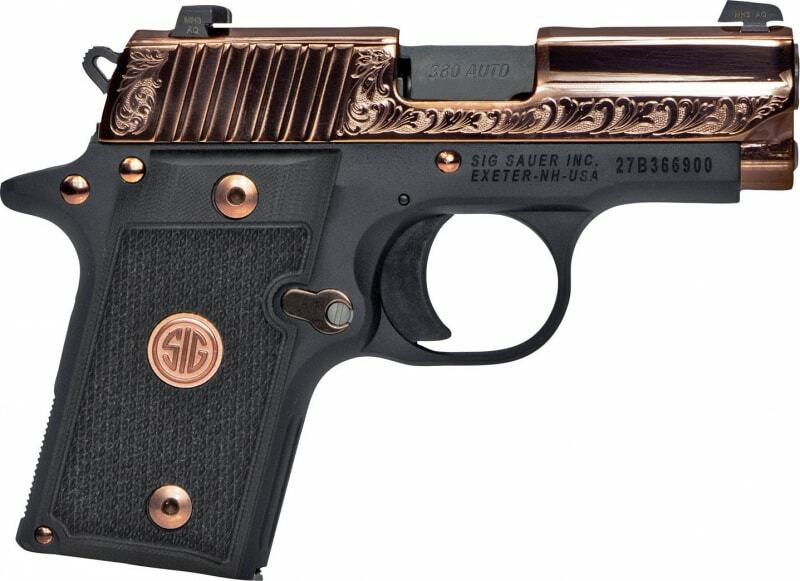 The P238 Micro is just a fraction of the size of Sig's full-size pistols. It has an overall length of just 5.5", height of 3.96", and weight of just 15.2 ounces. 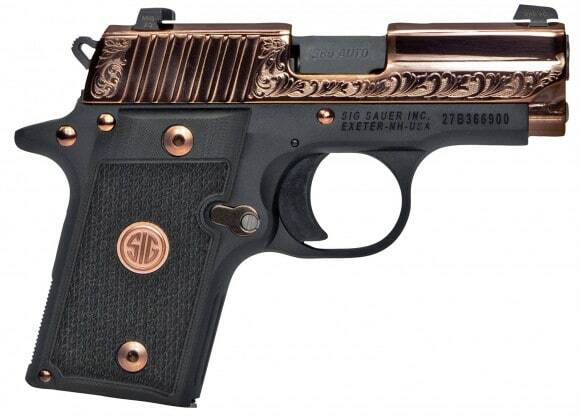 The stainless steel slide features Sig Sauer's trademarked slide serrations, and Siglite night sights. The frame is constructed of an anodized aluminum alloy with a beavertail style. 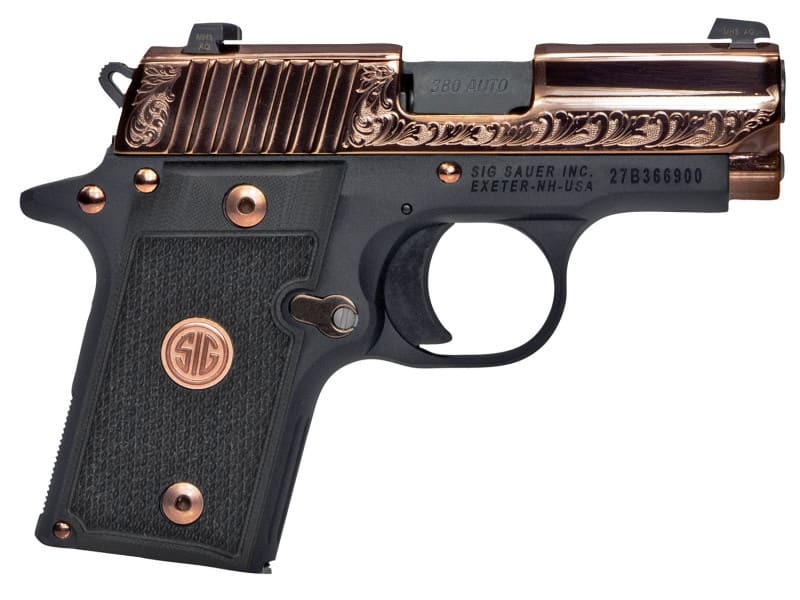 This model features a black nitron frame, engraved stainless steel slide with a polished PVD Rose Gold finish, polished Rose Gold controls, and black G10 grips with Rose Gold SIG medallion. Savage Arms 57006 110 Tactical 308 WIN 20"